WALNUT CREEK, CA – Contra Costa Transportation Authority (CCTA), 511 Contra Costa and Miles have teamed up to make commuting more rewarding for all who travel within Contra Costa County. Miles is a unique, easy-to-use smart phone app that seamlessly and automatically logs the miles you travel on all modes of transportation including biking, walking, transit, and rideshare. 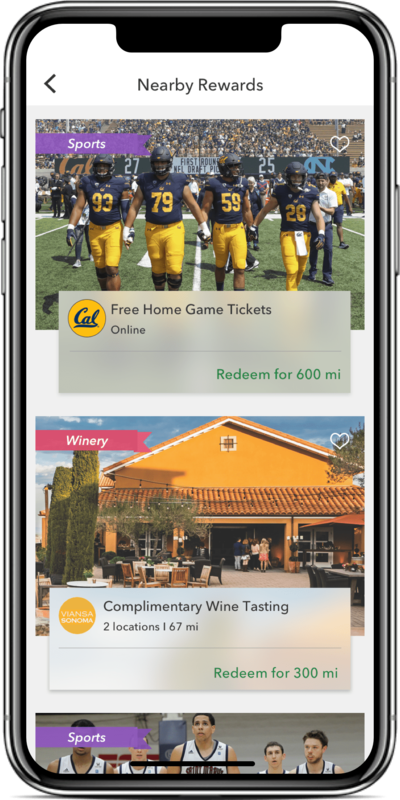 The miles can be redeemed for rewards from national retailers like Vudu, HelloFresh, Cole Haan, NatureBox, Silvercar, Atom Tickets, Getaround, and local event venues like Cal Bears, Saint Mary’s College Athletics and the Viansa Sonoma Winery. Learn how Miles works by visiting this link. CCTA and 511 Contra Costa have been working together for years to offer incentives for cleaner, greener trips. The ability to provide real-time, earned rewards is now easier with the Miles app. In addition to the rewards that are available to all users, the app’s gamification abilities allow, 511 Contra Costa to offer meaningful incentives to encourage travelers to try environmentally friendly modes of transportation. The information will provide important guidance to CCTA’s engineers and planners as they design the transportation infrastructure of the future. “Miles initially approached CCTA because of the agency’s reputation for innovation. CCTA has provided valuable insight and advice throughout the pilot phase, and now we’re thrilled to launch with them as our first public sector partner,” said Jigar Shah, CEO and Co-Founder of Miles. The Miles app is now available as a free download in the App Store, and the first 5,000 users will get exclusive access to the app within 24 hours. Users who are not in the first 5,000 can still download the app, but may have to wait a few days before they are given access. Each user will be automatically awarded 1,500 bonus miles at sign-up. To learn more about Miles and its rewards partners, visit https://www.getmiles.com/ or download the app here. Android users can sign-up for the Android waitlist and will be notified when the app is available in the Google Play store to redeem the 1,500 bonus miles. The Contra Costa Transportation Authority (CCTA) is a public agency formed by Contra Costa voters in 1988 to manage the county’s transportation sales tax program and oversee countywide transportation planning efforts. With a staff of twenty people managing a multi-billion-dollar suite of projects and programs, CCTA is responsible for planning, funding and delivering critical transportation infrastructure projects and programs that connect our communities, foster a strong economy, increase sustainability, and safely and efficiently get people where they need to go. CCTA also serves as the county’s designated Congestion Management Agency, responsible for putting programs in place to keep traffic levels manageable. More information about CCTA is available at ccta.net. 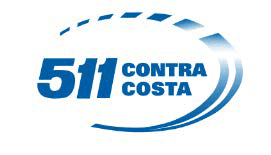 511 Contra Costa is a comprehensive Transportation Demand Management (TDM) program that promotes alternatives to the single occupant vehicle. 511 Contra Costa encourages the utilization of shared modes of transportation, bicycling and walking that result in the reduction in single-occupant vehicle trips. Mobility options include ridesharing (carpool, vanpool, transit, train), telecommuting, biking and walking. 511 Contra Costa is sponsored by all twenty jurisdictions in Contra Costa County (California) through the four regional transportation planning committees: SWAT (Southwest county), TRANSPAC (Central county), TRANSPLAN (East county), and WCCTAC (West county) and the Contra Costa Transportation Authority. Funding for 511 Contra Costa is provided by the local half-cent sales tax, known as Measure J, approved by voters in in 2004 and administered by the Contra Costa Transportation Authority and the Bay Area Air Quality Management District’s Transportation Fund for Clean Air. More information is available at www.511contracosta.org.